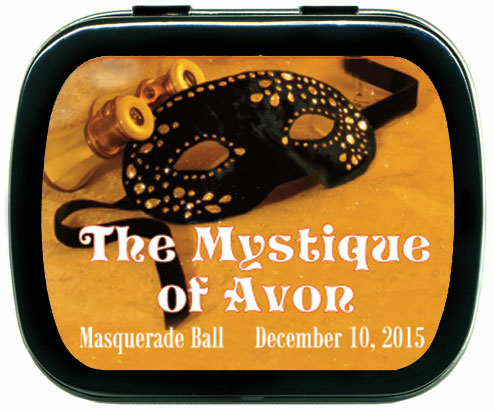 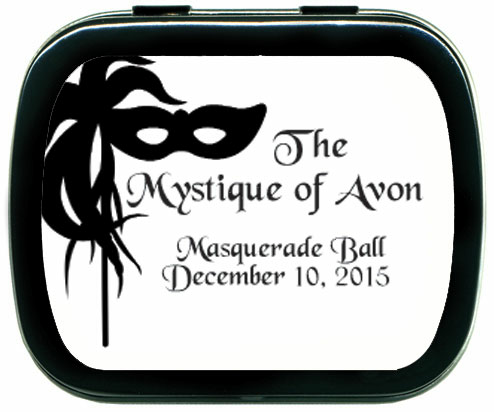 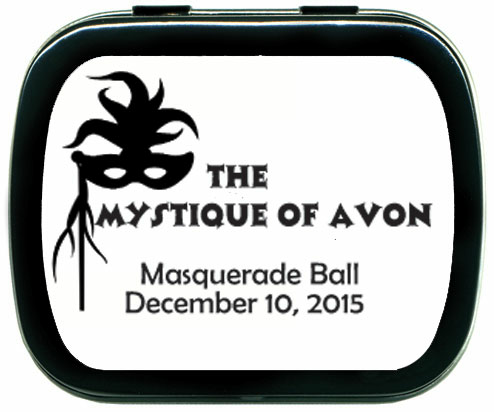 These masquerade ball favors will come in handy when your Prince asks you to dance. 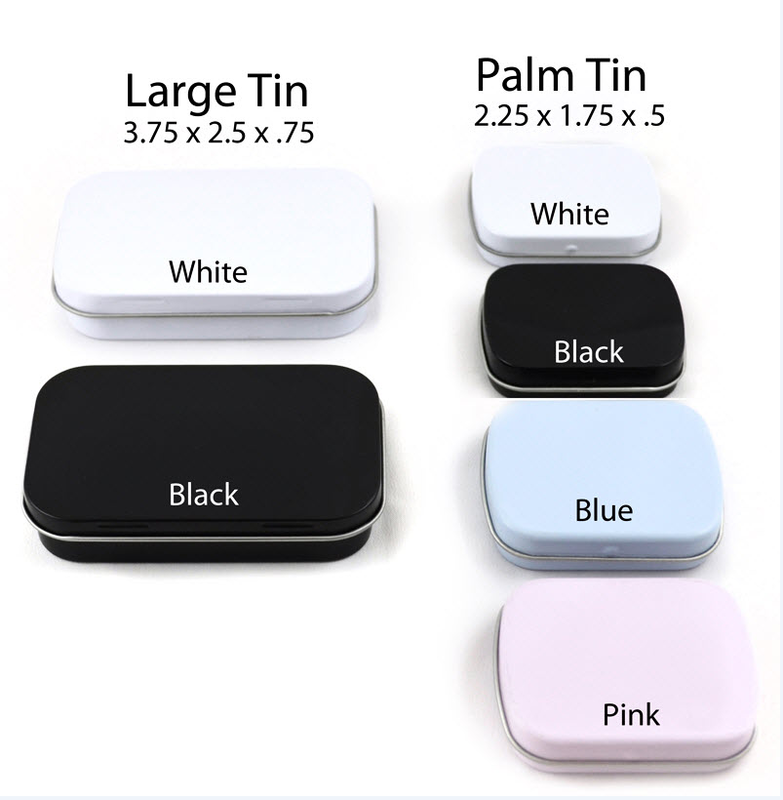 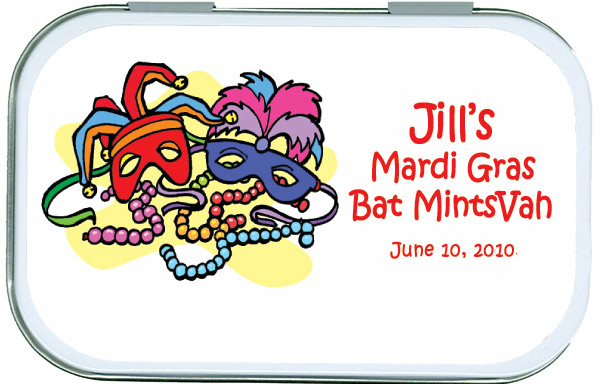 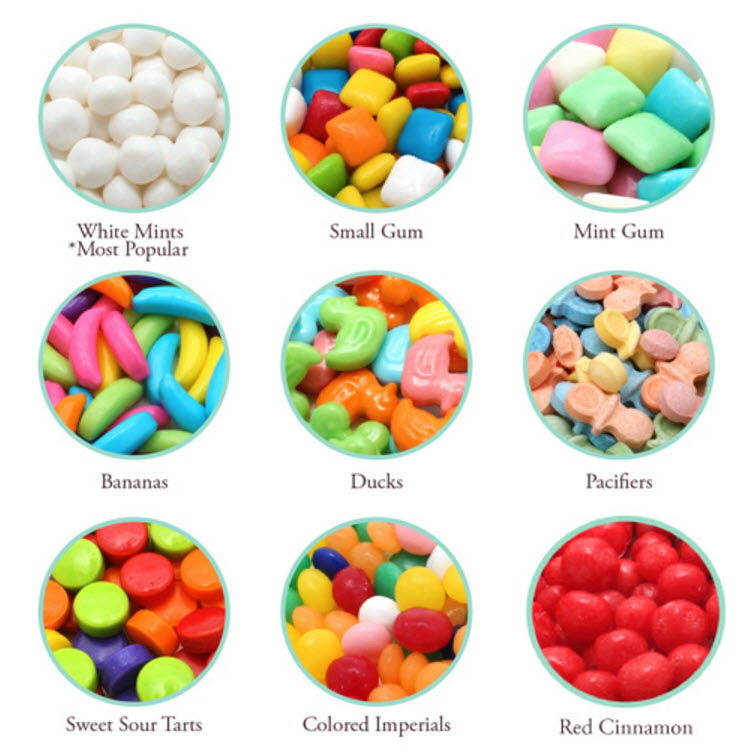 Filled with mints or candies of your choice, these tins are a charming favor for a themed prom or wedding. 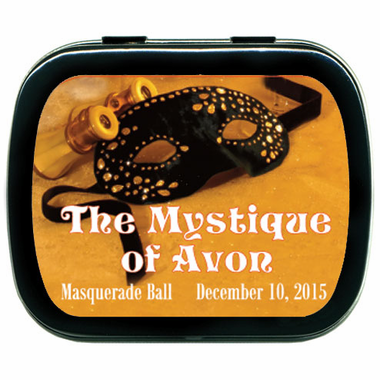 Help your guests remember the enchantment of that special night with a cute and convenient gift.